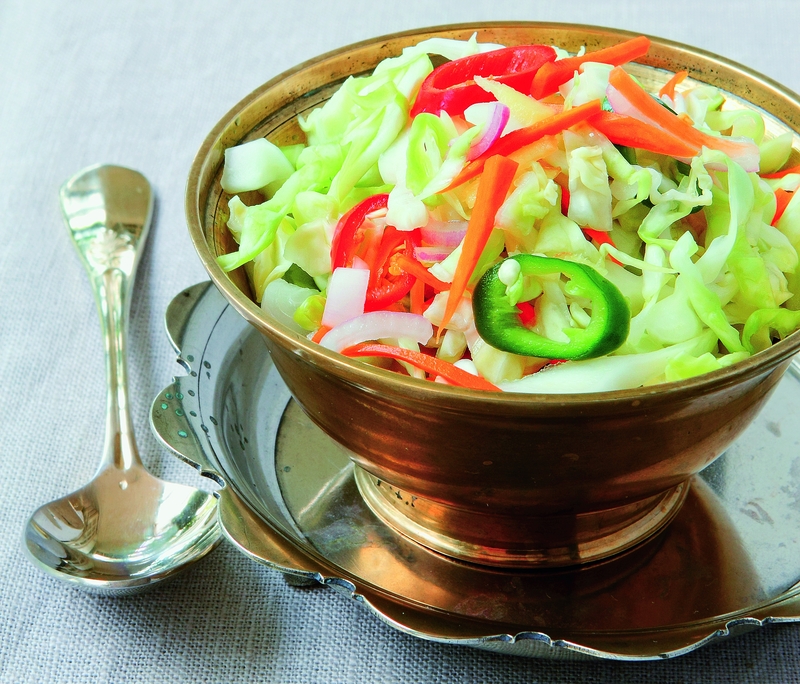 Acar Kobis or Pickled Cabbage is an Asian-styled pickled salad, suitable to be served as an appetizer or as a side dish. This recipe was first published in Flavours magazine. In a large mixing bowl, combing the dressing ingredients. Stir to dissolve the salt and sugar in the solution. Mix in all the salad ingredients and set aside in the fridge to pickle for 30 minutes before serving.